Exchange EDB to NSF converter is a proficient solution to convert all EDB database files into NSF format without any data loss. 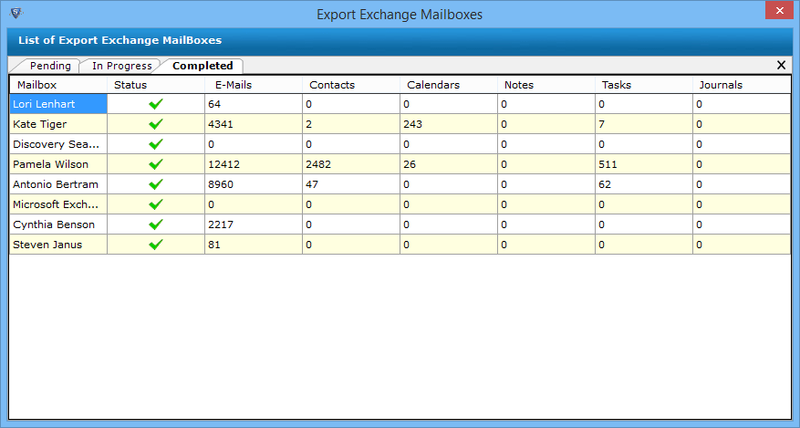 However, the software can migrate each mails, contacts, tasks and calendars from Exchange .edb mailboxes to .nsf file type. The software can easily scan the corrupt .edb files and load all the data into Lotus Notes NSF file. The tool also exports data from both pub.edb and priv.edb folders with successful conversion without installing the Exchange Server environment on the system. Installation of Lotus Notes is mandatory in the machine for the migration of Exchange to Lotus Notes. EDB to NSF converter has the capability to repair mailboxes or data items from highly corrupted EDB files. For this option, Advance Scan feature is embedded within the tool also. With the help of this Advance Scanning option, the user can easily recover & export the data in a simplified way. In order to migrate .edb to .nsf, the software provides the option to choose the desirable data items to be exported. It allows the user to check or uncheck the items from any desired mailbox. After that, the tool can export only the selected data items or selective mailboxes into NSF file format. While the tool converts data from EDB mailboxes into NSF file, it will save multiple contacts separately. For each mailbox name.nsf file will become created and all the contacts will get stored into Migrate Exchange Mailbox to Lotus Notes. It will help to import each contact into .nsf file format. Once the conversion starts, the software will display the status of pending mailboxes, mailboxes in progress and the migrated mailboxes. Even users can easily view the number of items being converted such as emails, contacts, calendars, tasks, notes, journals etc into Nsf file format. There were plenty of manual solutions available which can export Exchange EDB Mailboxes into Lotus Notes .nsf format. But all get failed and at that time I lost some of my important files. So, one of my colleague advised me to use Exchange EDB to Lotus Notes converter tool. Now, I can easily migrate my all EDB mailboxes into .nsf file. I heartily want to be thankful for the developer team for creating such a great product. EDB to NSF converter was really a masterpiece. It has multiple advanced features that made the migration from Exchange to lotus notes very easily. Even this tool capable to move multiple mailboxes from Migrate Exchange Mailbox to Lotus Notes and gives quite satisfactory results. Thanks a lot for developing an innovative solution to make a difficult task easier for us. Great work!! There are many possible scenarios in which the Exchange mailbox users wants to migrate their data to NSF file format. It can easily transfer each emails, contacts, tasks from Migrate Exchange Mailbox to Lotus Notes file format. With this software, data can be extracted from EDB file without installing the Exchange server on the computer system. Need of Exchange EDB to Lotus Notes Convertor Tool? Another reason is, when users switch to IBM Notes, they cannot access or utilize their old mailbox content as IBM Notes does not support .edb file format. In order to use the mailbox data saved in EDB files, users have to convert EDB database files into NSF format. 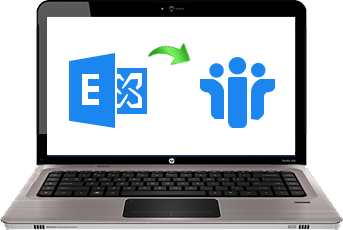 Easy to migrate Exchange EDB files without Exchange environment. Recover corrupt or damage Exchange EDB file data and export to .nsf file format. Tool provides Advanced scanning option for highly corrupted .edb files.